Updated 04-17-2019 - The mod has been updated to version 5 which resolves some extremely minor issues. It's actually needed an update for some time, but the changes weren't in any way game-breaking. Be sure to remove the old version when you upgrade! Name Your New Song!? OK, hmmm, something country-ish... how about "Thank God I'm a Coun"... nope, too long. I'll try "These Boots Were Mad"... no. I'll have to go with something shorter... Or I could just fix it. You can enter long book names, why not song titles? OK, so it's not some great major milestone of a mod, but it does fix something that really annoyed me (and maybe it is just me). This will increase the maximum length of a new song title from the default, which was only 20 characters, to a new maximum of 60 characters. I could have made it longer, but sixty seemed like it was plenty. Good enough for pretty much any song title except "When The Apple Blossoms Bloom In The Windmills Of Your Mind I'll Be Your Valentine" or "Several Species of Small Furry Animals Gathered Together in a Cave and Grooving With a Pict" and who would use those for song titles? Thought I'd share it with the community though. I like it. 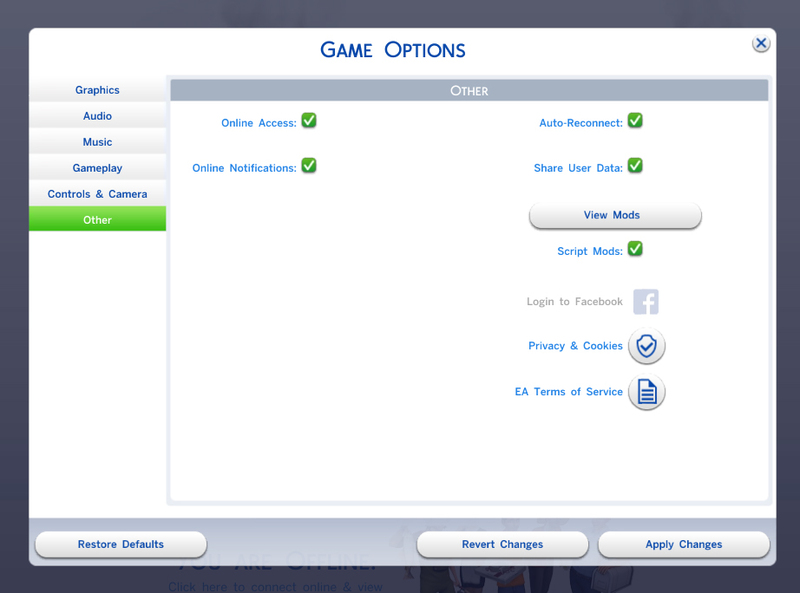 This mod requires The Sims 4 to be patched to at least version 1.51.75 (April 16, 2019). This may be of interest if you are experiencing a conflict and know how to debug such issues, or if you are creating another mod affecting song-writing and wish to incorporate these changes to eliminate conflicts. If you do create another mod using these changes, I would appreciate receiving credit. This modifies the S4_E882D22F_00000000_00000000000034C1 (instrument_Unlock_Music_Track) XML resource to add a max_length of 60 for the dialog to enter a new song title. Kuree and all the others at Sims4Group who have put together the S4PE tool. 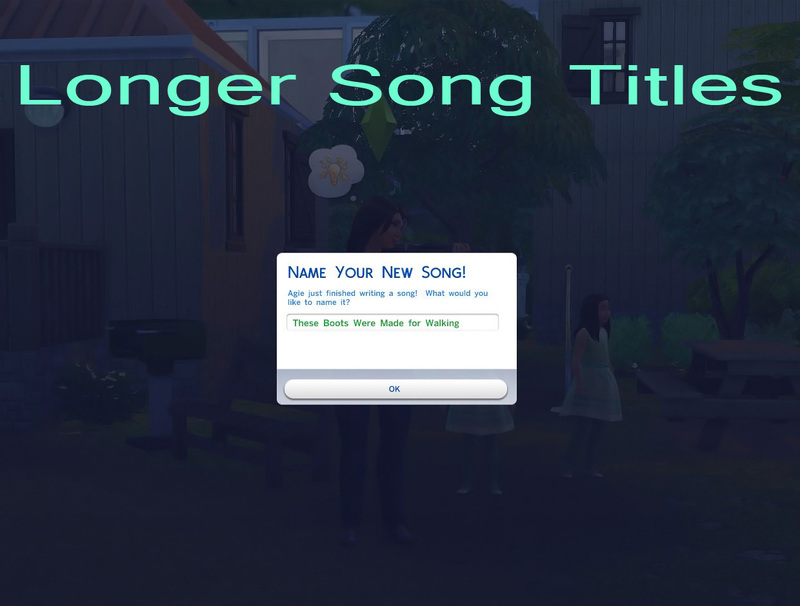 LongerSongTitles.zip | Description: *CURRENT VERSION* - TS4 mod to increase the maximum length for a song title up to 60 characters.